BMW has given the 7-series the mildest of mid-life facelifts for 2012 – with a series of cosmetic tidy-ups, fettled engines, extra kit and the UK's first hybrid 7-series. The ActiveHybrid7 isn't the most expensive 7-series (that's the 760Li at £101,805), but at £66,040 the petrol-electric saloon is some £8k pricier than the biggest-selling 730d. As the diesel is also cleaner and more economical, we suspect the hybrid Seven will remain a niche seller over here. 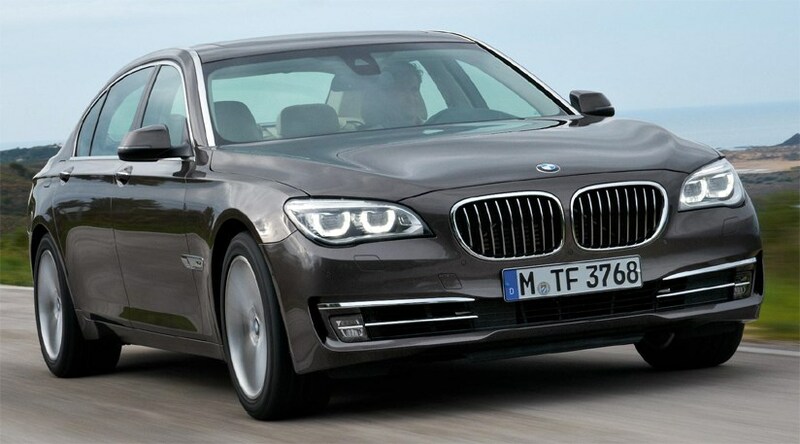 So what is actually new on the 2012 BMW 7-series facelift? The Seven's suspension has dropped 8mm to give it a more poised look, but most of the changes are into the realms of details. The trademark BMW kidney grille has gone from 13 to nine slats – count 'em! - while there are now three sections to the air intake below. Active LED headlamps have become an option, while the rear lights are a deeper shade of red and chrome accents link the two units. All good anorak spotters' material, we're sure you'll agree. Steering assistance is now done electrically to save fuel, and BMW points out a number of detail changes to the suspension too. The Eco Pro system has been added, letting drivers choose a new setting to soften the throttle response, set the gearbox to slush up to eighth as quickly as possible and manage the electricity use by systems such as heated mirrors and seats. Munich says the Seven is more hushed than before with extra soundproofing, and further pampering is provided by redesigned seats. As before, the 7-series is available in regular or long-wheelbase bodystyles, the latter adding 140mm into the wheelbase and an extra 10mm of headroom. Prices start at £58,115 for the 730d SWB. Its 255bhp 3.0-litre straight six turbodiesel is enough for a 155mph capped top speed, 0-62mph in 6.1sec and a claimed 50.4mpg combined economy figure together with 148g/km CO2.